"By 1842, Kazan had been adorned and beautified like a bride, until it was the very best city after the capitals." Still a work in progress, this site seeks to provide a deep interactive view of the Russian provincial capital of Kazan in the middle of the nineteenth century. Here you can examine the city's built spaces, explore its demographic dynamics, and take a virtual tour of scenes around town. 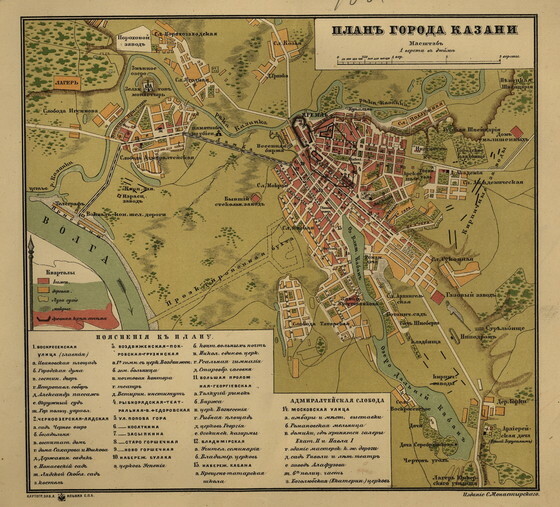 "Plan of the City of Kazan": 1884. 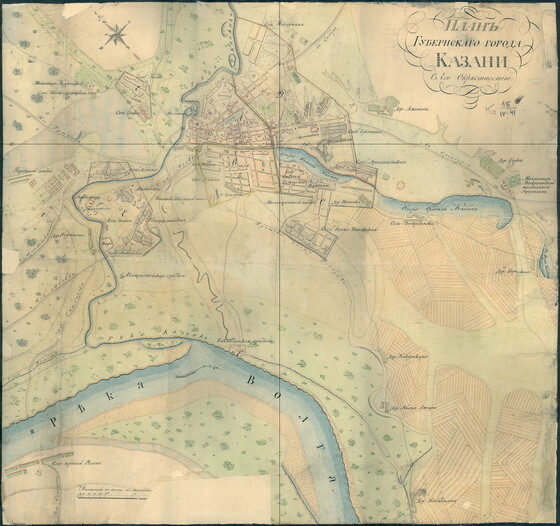 "Plan of the City of Kazan with its Surroundings": 1887. 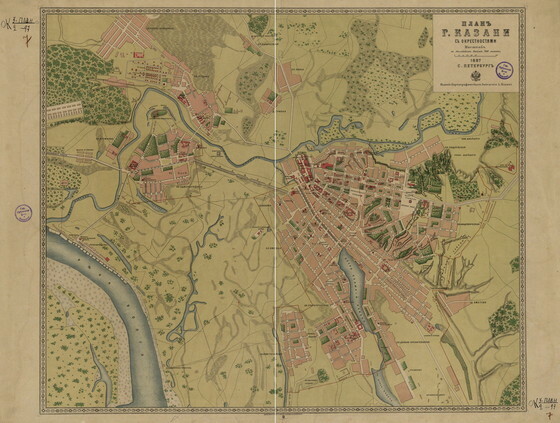 "Plan of the Provincial Capital of Kazan, with its Surroundings": an area map of the city, ca. the 1830s.